This is just as excellent as Weller's 'Wellington in the Peninsular. A very thorough account that uses contemporary accounts to bring the battle vividly to life. At times there is information overload - I want to see more maps and diagrams of battle formations as there is only so much information of the locations of roads and farm buildings that I can keep in my head at once. I liked the end chapters about the mistakes made (or not made) by all parties involved and the conclusion seems to be that if you have enough troops, weapons and experience, and you don't make any mistakes, it takes a supreme military genius to beat you. Sadly for Napoleon, he didn't have the chops on the day and England went on to rule much of the world that France would have liked to have got its teeth into. 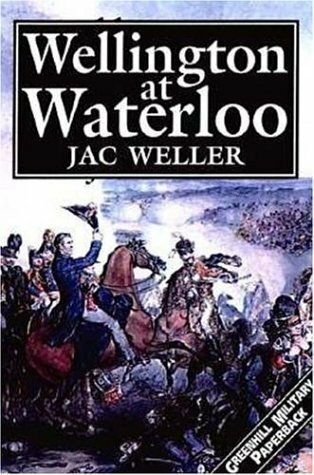 This wasthe first book I ever read on Waterloo and therefore occupies a special p,ace for me. Dated now but still a great read.